The Concorde Fire Athena Girls Soccer programs are designed for girls in the U13 - U19 age groups who desire a highly competitive level of play. Our players come from all over the Atlanta Metro area to take advantage of the training offered to Concorde Fire teams. Our certified professional coaching and training staff is proud of its international playing and coaching experience. Concorde Fire provides outstanding team development, which results in state, regional and national championships. Our focus on player development is an ideal preparation for high school, college and the Olympic Development Program (ODP). Athena teams train twice weekly and play weekend matches against teams from other clubs around the Georgia area. Additionally, teams may choose to participate in various local or regional tournaments. Athena teams are chosen on the basis of open tryouts held each year in May/June. Positions on Athena teams are competitively awarded and skill based. Concorde Fire holds open tryouts where interested players are evaluated by our coaching and training staff. The skills, attitude and potential each player exhibits at these tryouts are considered when team positions are offered. It is the nature of these programs and inherent in the selection process that not every player will be offered a team position. We urge players who are not selected to take advantage of Concorde Fire’s Soccer Camps to advance their skills and prepare for next year’s tryouts. By accepting a place on a select team roster, a player commits to play the full seasonal year, June through May. For U9 to U14 players, this comprises the fall and the spring season. 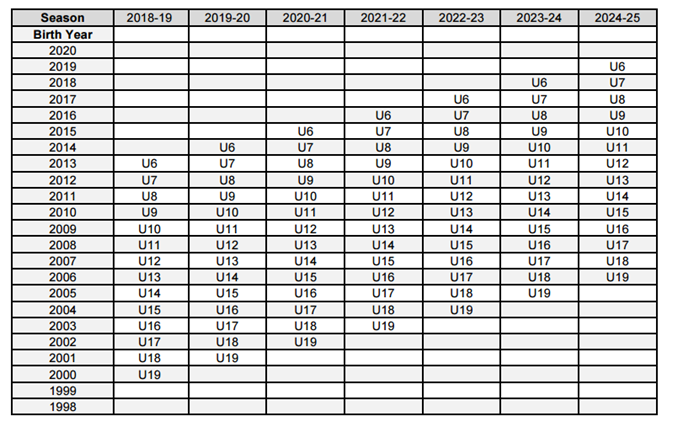 For U15 through U19, there is only one season of play in the fall with the possibility of a short season and tournaments in the spring, after the high school season is completed. Evaluations for U8 - U19 teams are held in May and June each year for the coming soccer seasonal year. Information on registering for evaluations and tryouts can be found under the Tryouts link above. Recreational players can join Concorde Fire at any time during the year. As long as you are not registered with another Academy club you are free to tryout for Concorde Fire. Select players must obtain permission from their current club before any discussions about playing opportunities are held. Athena teams participate to 2 tournaments a season. All teams must participate to one pre-season and one-post season events. Teams can decide to do more than 2 tournaments a season.